Apple has lately unwrapped the first red iPhone. 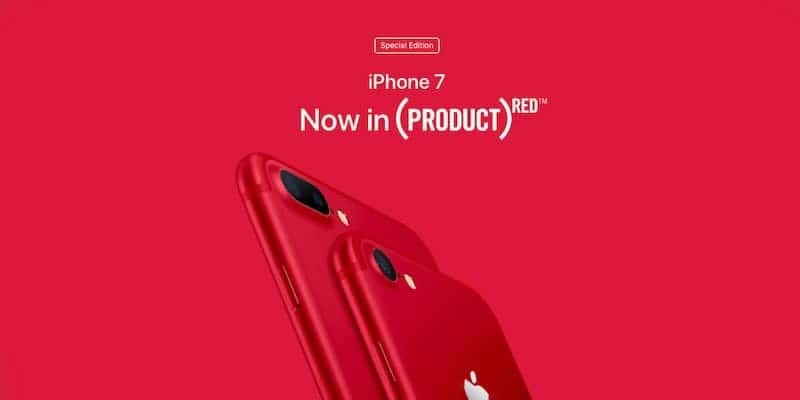 The company partnered with (Product)Red guys and developed a unique (Product)Red iPhone 7 Plus and 7 that continues Apple’s and the charity’s journey of doing well. The amount of money handed over to the (Product)Red iPhones will be geared towards discovering a cure for AIDs and HIV, and that’s a good thing always. The best part? You get a bright red iPhone. Famous YouTuber MKBHD has gotten his hands on it already. Marques Brownlee or MKBHD is the first YouTuber to be sharing the (Product)Red iPhone 7 Plus video before the device’s official launch, which happens on March 24, Friday. During the footage, you will witness just how elegant the red iPhone is. The iPhone’s red back is matte, instead of glossy, and it provides a kind of a stain finish that looks best on any iPhone that has been seen so far. Yes, it looks that amazing. However, things could go south for you once you glance upon the iPhone’s front courtesy of Apple’s insistence on implementing the white front on iPhones that feature non-block backs, there’s nothing much consumers can do about. It would have been justified naming the product (Product)Red iPhone as the most elegant iPhone to date if the front was in black. You can check out the full hands-on and unboxing video embedded below for a sneak peak on what the device appears like, as well as render what it could have appeared like if things were properly thought out by Apple. The company was so so near. That’s what the (Product)Red iPhone is all about. What do you think of it? Do you want to see more variations like these in your iDevices or prefer that iPhones come in black and silver and white? Feel free to leave comments.